THE musical score you hear in a movie is often just as rich and well crafted as the film you are watching, sometimes more so. But all too often it goes unnoticed - passed over or unavoidably pushed into second place in favour of the action on screen. The Royal Liverpool Philharmonic Orchestra led by conductor Kurt Bestor went some way to re-addressing the balance with this extremely entertaining concert of past and present classic movie music. 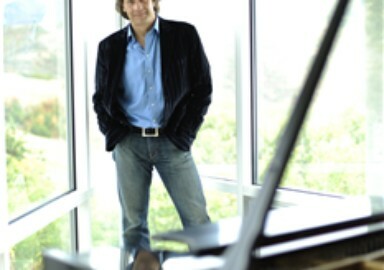 Perhaps best known on this side of the pond for his music for the closing ceremony for the 1988 Winter Olympics, Bestor is a film music composer in his own right and has over 30 film scores under his belt. The evening began with an arrangement encompassing a montage of over 40 iconic themes including Out of Africa, The Godfather, James Bond and Jaws to name but a few. Family Night at the Movies took the audience on a concise voyage through the history of film music from its birth in the silent films of the 1920s right up to present date. Bestor made an affably gregarious host, dishing out anecdotes and jokes to the audience with equal measure. Using a screen (and rather temperamental DVD projection) behind the Orchestra to illustrate the relationship between score and visuals, this was a hugely enjoyable concert both for music lovers and film buffs alike. Stand outs of the evening included a superb rendition of the main title theme from Vertigo (by Bernard Herrmann) a note perfect Adagio for Strings (by Samuel Barber used in the film, Platoon) and a brilliant tribute to modern day movie maestro John Williams, including music from Star Wars, Raiders of the Lost Ark, Schindler's List, Harry Potter and ET. The RLPO proved again that as well as being one of the oldest concert-giving organisations in the world they are also one of the finest. On Tuesday night the weather outside was frightful, but in true Christmas-carol fashion, inside Abravanel Hall, it was so delightful, as Kurt Bestor brought his 17th-annual holiday concert to the stage. In true Kurt Bestor fashion, from the first echoing Glorias of the Millennium Choir to the last haunting strains of "Prayer of the Children," it was an evening filled with good will, magic and the joy of the season. With a stellar backdrop of treelike cones that shifted color with the mood, Bestor took the audience through a musical gallery filled with seasonal pictures. With songs that conjured up visions of snow- covered hills, faraway villages, family gatherings and joyous celebrations, and with outstanding support from band and orchestra, he explored both the legacy of Christmas music and the diversity of interpretations it affords. There were old favorites: a rousing "Deck The Halls," an uplifting "Il Est Ne Le Divin Enfant," the annual rendition of "A Night Before Christmas," this time featuring radio sound effects in addition to the zany antics of the band and the narration of a true Santa pulled from the audience. There were new additions: "Legacy In Blues," a song from his latest "A Life" CD, which celebrates the trumpet heritage he got from his father and grandfather and which could be described as "Bachian jazz." And his original "Carol for a Yuletide Eve," which honors the traditions of a Victorian Christmas. Special guest, Celtic singer Christina Quinn, brought beautiful expression to a rich and vivid version of "O Come, O Come Emmanuel." She was joined by the women of the Millennium Choir for a hauntingly poignant "Coventry Carol." And she brought both grace and power to a majestic and joyful "Do You Hear What I Hear?" Throughout the evening, Bestor played a variety of instruments besides his famed Fazioli piano, ranging from trumpet on a bluesy "Christmas Song" to the harmonica on a plaintive "I Wonder As I Wander" -- and even the penny whistle on a suite of old carols from France. That suite offered a delightful contrast to the percussion- flavored melding of "Little Drummer Boy" and "O Tannenbaum," which also showcased the skill of percussionists Kelly Wallis, Todd Sorensen and Kenny Hodges. Those drummer boys weren't the only performers singled out for the spotlight. The Millennium Choir added an angelic touch to the evening. Dave Halliday stepped to the fore with his sax for a "Good King Wenceslas meets George Gershwin" kind of song. Aaron Ashton shone on the Celtic arrangements. Daron Bradford excelled with a variety of woodwinds. And guitarist extrordinaire Michael Dowdle took on violin virtuoso Monte Belknap in a scorching showdown on Bestor's "Christmas Concerto for Electric Guitar and Violin." Like the etchings of Currier and Ives, Bestor's musical portraits capture the feel and flavor of other times and places with images that never grow old. At the same time, he brings a sense of here and now to the holiday celebration that is fresh and exciting. It is a celebration of both sound and spirit. programs and commercials. It is Bestor's music that has introduced NFL Monday Night Football, and National Geographic Explorer; he scored TBS's Wild! Life Adventures and the IMAX film "The Great American West." He also was given the Outstanding Film Score Award at the New York Film and Television Festival for his music for PBS's "A More Perfect Union." Bestor was awarded an Emmy® for his collaboration with Sam Cardon on the original music for ABC's coverage of the 1988 Winter Olympics. child, Bestor was encouraged by his mother to improvise with his imagination. Dave Grusin, Alan Silvestri and David Raksin. include original recordings and increasingly popular concerts. tradition, inspiring further recordings and annual concerts across the country. 20th year of sold-out Christmas shows. Olympic torch through Salt Lake City. "It was truly a gold-medal experience. Rubbing shoulders with incredible athletes and being joined on stage by Josh Groban, Charlotte Church, Earth Wind and Fire, Moby, KISS, among others was unforgettable." Bestor's set list varies depending on band or orchestra employed or whether he's playing a solo concert. Music is all original songs chosen from over 25 contemporary instrumental CDs and a vast library of classical compositions.